I must admit when the crackle craze started I was pretty apathetic about the whole thing. 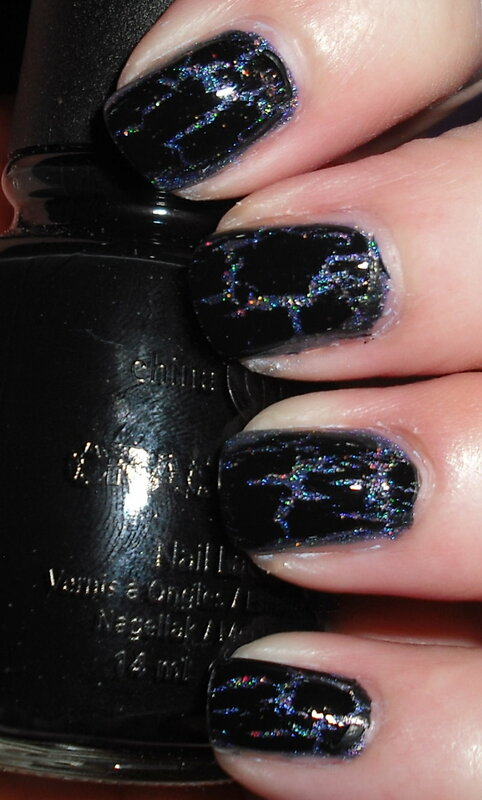 I was quickly won over by OPI Black Shatter, so I jumped on the crackle train! 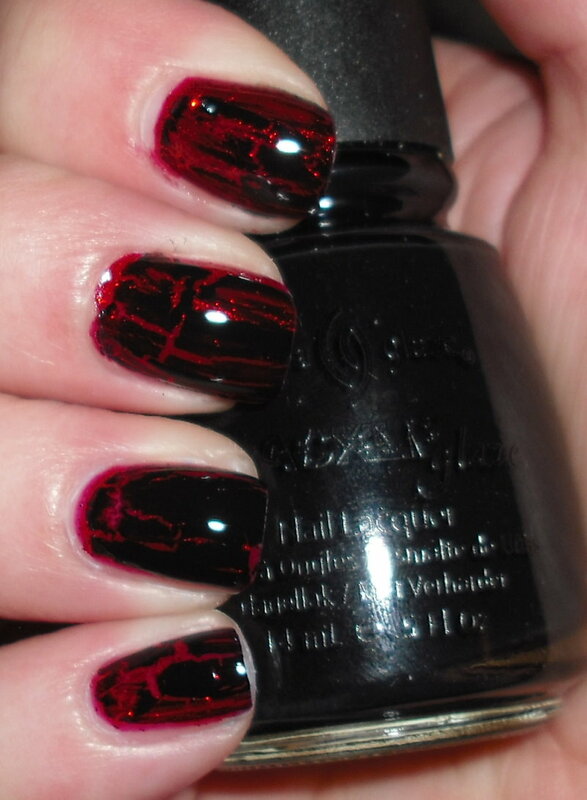 Here is a the black crackle from China Glaze. Black Mesh is a black creme crackle. I think China Glaze Black Mesh and OPI Black Shatter are identical as far as how they look. I do think the China Glaze crackle is much easier to work with. I found the OPI in comparison to be thicker and had the tendency to drag against the nail versus giving a smooth coat. China Glaze definitely delivers better and for a far more reasonable price in my opinion! P.S. There is a special sale going on at Cult Nails today and tomorrow only. Please check out Maria's blog for details! I love the crackle polishes. I guess you can call be a crack head. Lol!